Last week, during its fourth-quarter earnings report, Facebook revealed it had 1.23 billion monthly active users, 757 million daily active users, 945 million monthly active mobile users, and 556 million daily active mobile users. In its 10-K filing published on the weekend, the company estimated that in 2013, between 5.5 percent and 11.2 percent of these users were fake. Putting those numbers together, Facebook says at least 67.65 million fake accounts were used last month. That number can go as high as 137.76 million, if the company’s higher-end estimate is to be believed. 4.3 percent to 7.9 percent of accounts were duplicates (meaning someone has created more than one account for an individual), or anywhere between 52.89 million and 97.17 million. 0.8 percent to 2.1 percent were misclassified (meaning someone has created an account for something not someone), or anywhere between 9.84 million and 25.83 million. 0.4 percent to 1.2 percent were undesirable (meaning accounts created to violate Facebook’s rules), or anywhere between 4.92 million and 14.76 million. Again, these are all estimates. Facebook previously offered one number for each of the above, but now it is offering a range to show that these are inexact. The numbers for our key metrics, which include our DAUs, mobile DAUs, MAUs, mobile MAUs, and average revenue per user (ARPU), as well as certain other metrics such as mobile-only DAUs and mobile-only MAUs, are calculated using internal company data based on the activity of user accounts. While these numbers are based on what we believe to be reasonable estimates of our user base for the applicable period of measurement, there are inherent challenges in measuring usage of our products across large online and mobile populations around the world. It’s also worth emphasizing that an active Facebook user does not necessarily mean someone using Facebook.com or the company’s own apps. The company considers an active user anyone who uses their Facebook account somewhere on the Internet. We estimate, for example, that “duplicate” accounts (an account that a user maintains in addition to his or her principal account) may have represented between approximately 4.3% and 7.9% of our worldwide MAUs in 2013. We also seek to identify “false” accounts, which we divide into two categories: (1) user-misclassified accounts, where users have created personal profiles for a business, organization, or non-human entity such as a pet (such entities are permitted on Facebook using a Page rather than a personal profile under our terms of service); and (2) undesirable accounts, which represent user profiles that we determine are intended to be used for purposes that violate our terms of service, such as spamming. In 2013, for example, we estimate user-misclassified accounts may have represented between approximately 0.8% and 2.1% of our worldwide MAUs and undesirable accounts may have represented between approximately 0.4% and 1.2% of our worldwide MAUs. Since Facebook is now offering a range, it’s difficult to determine if the number of fake accounts is growing or shrinking. 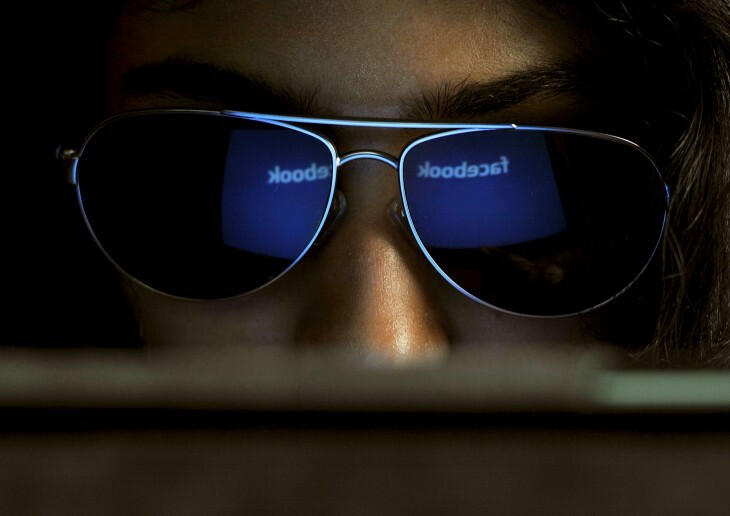 After the company’s first earnings report, the estimate of fake users on the social network was 8.7 percent. The midpoint of the range shared for 2013 is 8.35 percent, but that’s not the number Facebook chose to share.